Energy is everywhere. You create energy with your thoughts and your mood vibrations. You pass through the energy of a room or into the energy of a building. Sometimes you feel it. Sometimes you pick up energy and carry it with you when you leave. You have conversations and relationships with people who are both producing energy with their thoughts and carrying energy from the people and places they’ve been. Keeping your energetic space clear of unwanted energy can shift your experience of life so you can know and attract what you want. Clearing your energy, harnessing your thoughts and attracting energy from the desires of your authentic self can change your life. But there’s more to the story. If you’ve seen “The Secret,” you know about the idea that you attract what you want in life by thinking the thoughts that will bring it to you. What you think is what you create in your world. But if you’ve seen “What the Bleep Do We Know” you will also know it’s not that simple. Energetic programs are patterns of energy that play out when they’re stimulated by the situations that relate to their program. For instance, if you were brought up in a family that believed the adage “we work hard for what we get” then you likely have a program inside that responds to your wish to be abundant by helping you create situations where you need to work hard in order to get it. Patterns and programs bring you back to where you’re comfortable, even though it might not be where you want to be. Abundance isn’t just about money or things, it’s fullness in love, fullness in life, it’s success and a lot of other related experiences that add up to joy in living. Without doing some work, if we don’t have abundance it’s because, energetically, we’re more likely to experience more of the same rather than something new. Change can happen. Meditation and thought discipline can begin the process. 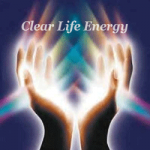 Energetic healings can help too, as they clear out unwanted energy so your responses are true to you and not clouded by energy you may have picked up from others as you move throughout your life. But the patterns and programs will be there until they can be discarded or changed. An energy healer skilled in deprogramming can identify and remove old patterns and programs you carry in your brain and your body. Then your meditation and thought discipline can take over to create new programs and new patterns. The more abundance you experience in your life, the easier it will be to create it.